It’s been raining off and on all day. I overslept and was late for a visit with my sweet friend M. Thank goodness she isn’t the judgmental type and still greeted me with a smile when I showed up an hour late. It helps that I came bearing treats of an orange cranberry scones. She forgave me and we enjoyed the treat. I love catching up with dear friends. Such a gift to be able to do so. Then there was a trip to the Walmart to get some laundry detergent and toilet paper. Followed by a quick Starbucks Drive thru for a lovely Flat White with one raw sugar for the afternoon caffeine pick me up. When I got home, instead of folding the mountain of laundry waiting for me, I sat and read a book for about an hour. I know, totally irresponsible of me, but whose gonna tell on me? Then it was time for the great deep freezer re-org, making sure the older food was pulled forward to be used first. This way nothing goes to waste. I cannot abide waste. My Mama taught me well. While digging around in the frozen tundra, I found two lovely rib eye steaks which became the center piece to a lovely family dinner. Grillin and chillin on a Wednesday. 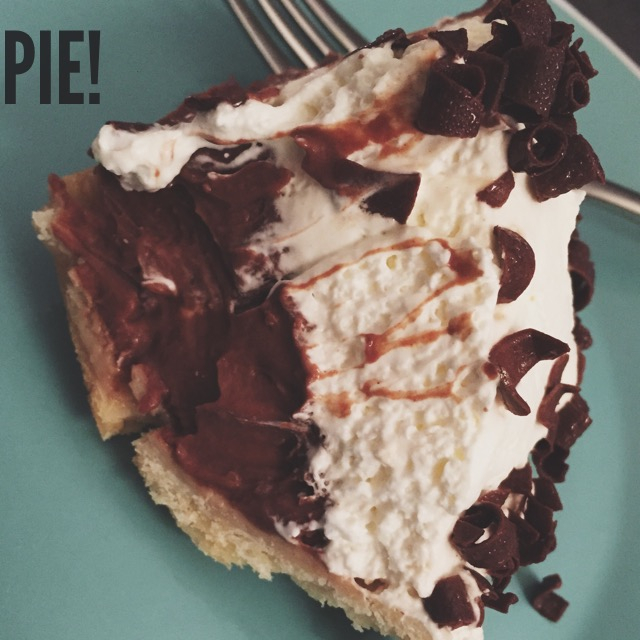 The cherry on top of the day has been watching Castle on Netflix with hubster and #1 son while eating Chocolate Cream PIE!! Yay for medical care fundraisers!! We could not have survived without them. I pray you have a wonderful day and a great turnout. Go Sarah!! Castle is on Netflix now?!? I LOVE you!! Now I know what I will be watching the next few weeks!